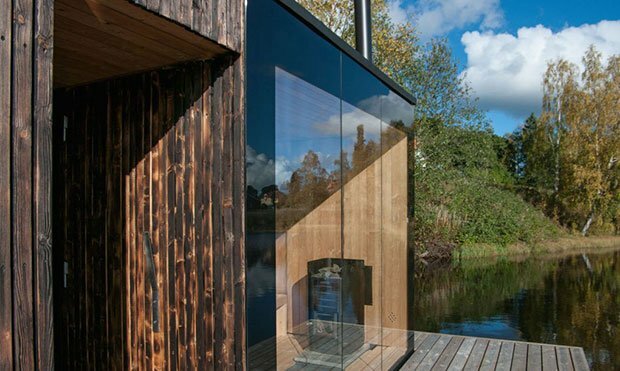 Being conscious about our surroundings is very important nowadays, and architecture is finally picking up on that. 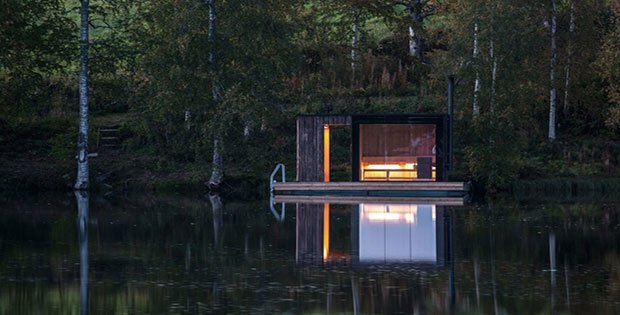 This adorable little floating sauna was built as one of the bed and breakfast amenities, and it was very well thought out in the materials department. 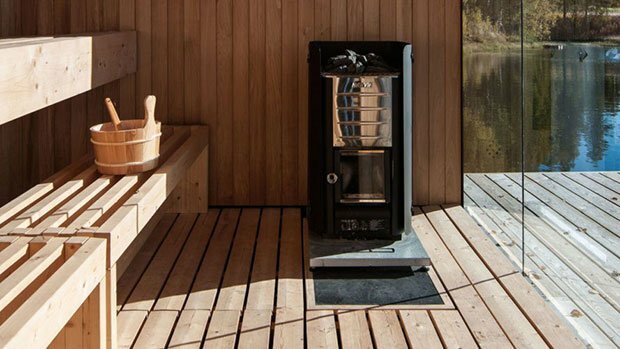 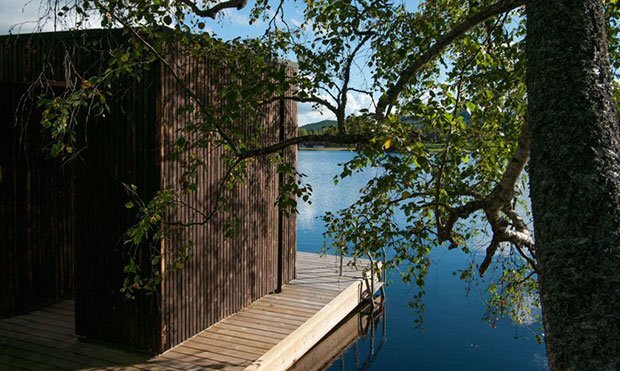 With timber being its main focus, the sauna was built on an already existing deck to avoid additional damage to the lake grounds. 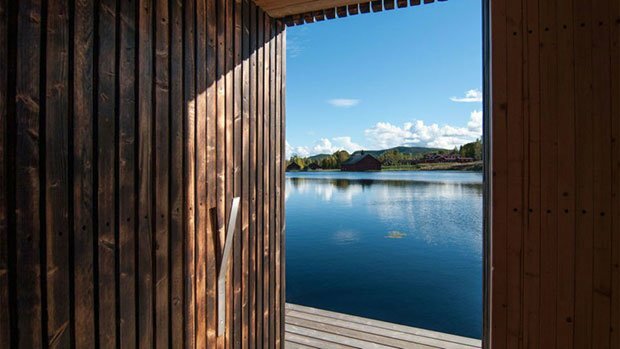 It’s located not too far away from Stockholm, Sweden, and it must be the best to enjoy in when Sweden’s cold weather kicks in! 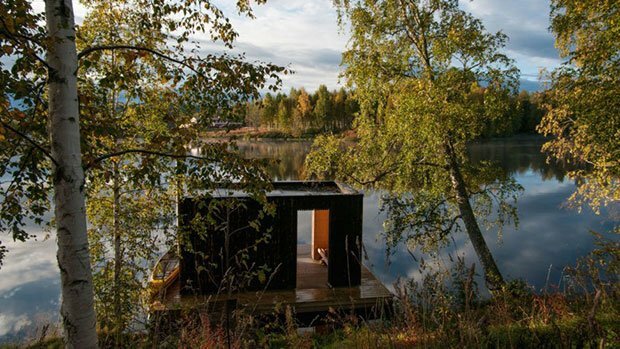 Located a three-hour drive from Stockholm, the bed and breakfast and accompanying sauna are an idyllic nature retreat for city dwellers. 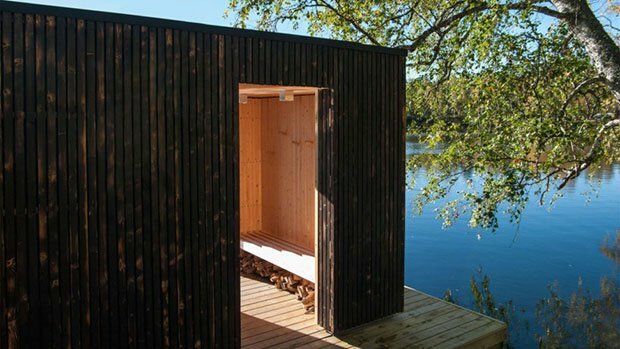 The traditional Japanese technique of Yakisugi—more popularly known as Shou Sugi Ban—was applied to the sauna’s exterior cladding to make the timber resistant to weather, rot, and bugs.